When my grandfather was preparing to immigrate from Italy to the US, he was told the streets were paved with gold. He learned three things upon arriving. He learned that the streets were not paved with gold. He learned that the streets were not paved. And he learned that he was going to pave them. There was a generation of Italian stone and brick workers who constructed many of the buildings and infrastructure projects in this region. Some of them worked on the sewer system. 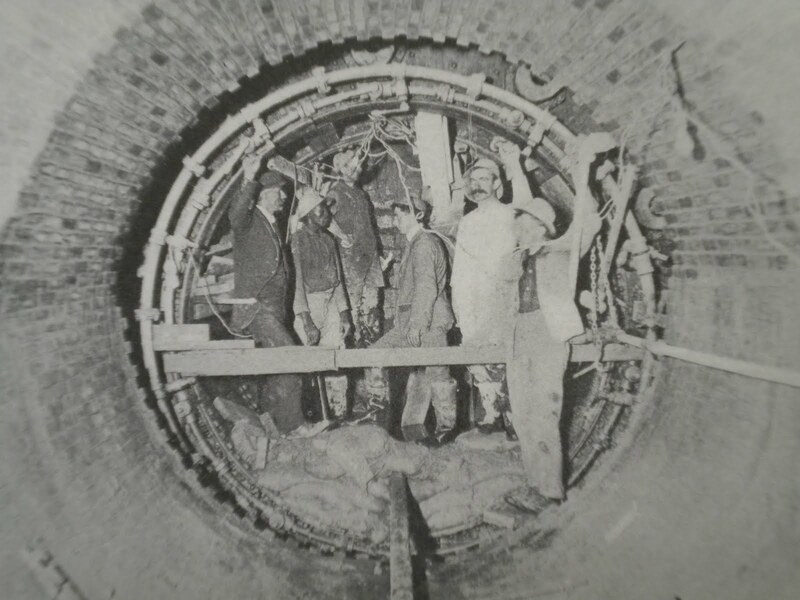 Not much craftsmanship there, you might think, until you remember that the early sewer pipes were made with brick, not pre-cast concrete like today. 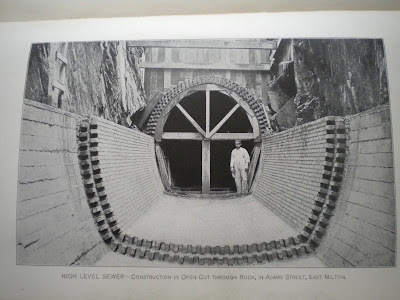 I have been inside some of those large old sewer pipes and I have seen the interior construction. The pattern of the brickwork is pure artistry. Many have lasted over 100 years in a environment that is extremely corrosive. Unfortunately (well, maybe you think it is fortunate), you cannot go and tour them. But here are some pictures from the 1902 First Annual Report of the Metropolitan Area Water and Sewerage Board that will give you an idea of what you are missing. 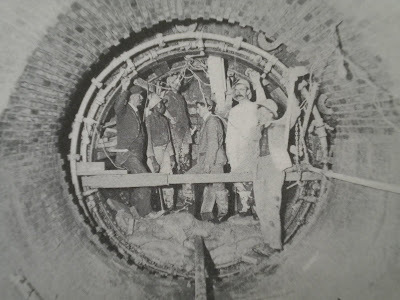 The one above is entitled, "Construction of circular tunnel with air compressor and metallic shield, in Centre Street, Jamaica Plain." The one below in Milton required an open cut through the granite that characterizes that region and was then lined with bricks. Courage? Or grit, when options are limited? Either way, the story is the same. People who made little lived with obscene risk, and received few protections for the hazards of innovations. (For which we were very proud, and should be every time we don't drive a car because of the T). I think it is interesting how excited (I mean truly excited) people become about technology. But as I move through the world, I am always struck by our denial - our blinders on costs. Immigrants working with fuming leaf blowers hours and hours upon end. Every strawberry at the market an exposure of toxins to workers we'll never see. When we make heroes out of past sacrifice, are we absolving the gains? There are great stories, here, Paul. And they are powerful mirrors of the present. Much has changed. How much have we?